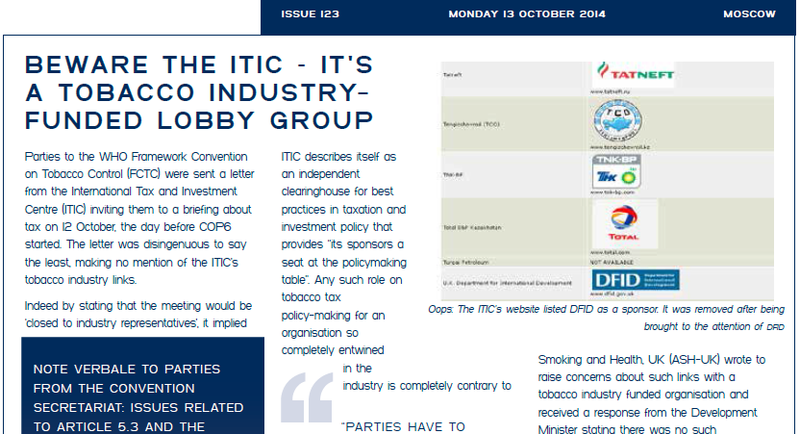 FCA’s Day Bulletin at COP6 in 2014 describing ITIC’s attempt to sway delegates about guidelines on tobacco taxation. A global group that was instrumental in spreading tobacco industry misinformation about the effectiveness of tobacco taxation has rejected Big Tobacco after a civil society campaign to expose its agenda. The International Tax and Investment Centre (ITIC) has announced that it will no longer accept sponsorship from tobacco companies or permit their representatives to sit on its board. This follows a campaign in 2016, led by the Tax Justice Network, ASH (UK) and FCA, to expose the ITIC’s pro-tobacco policies to organisations with which it tried to ally itself, including the World Bank. Tobacco taxation is widely recognised as the most effective tobacco control measure, but ITIC dedicated itself to convincing governments of low- and middle-income countries to reject tobacco tax as an important tool to fight the tobacco epidemic. In 2014, the Secretariat of the Framework Convention on Tobacco Control (FCTC) even issued a note verbale to FCTC Parties when ITIC organised an event in Moscow one day before the opening of the sixth session of the treaty, where governments were to discuss their draft guidelines on tobacco taxation. The letter dissociated the Secretariat, and Russian ministry of health, from the event. Take corrective action and withdraw all PMI-sponsored reports from circulation. Otherwise its disengagement with the industry will be meaningless and continue to misguide governments. 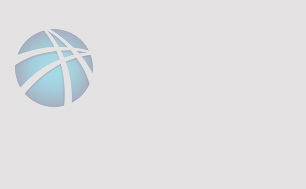 Read our fact sheet on ITIC.